Why Haven’t Spurs Signed Anyone This Transfer Window? 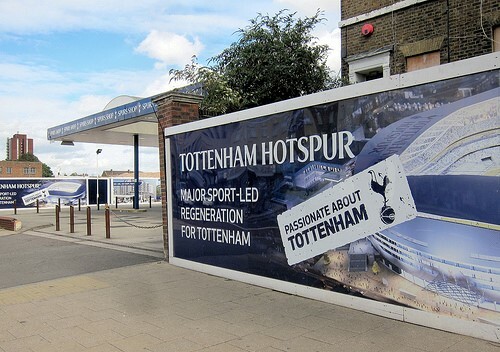 It’s been a strange 12 months for Tottenham Hotspur. From the collapse in the title race last season to the resulting hangover and an eventual resurgence, this last year has had it all for Mauricio Pochettino’s men. The season got off to a decent start before Spurs went on a woeful run of form with just one win in 10 matches. The squad was hit by a number of injuries but there seemed to be something worse going on at the Lane. Last season’s defeat at Stamford Bridge and the disappointing summer at the European Championships for many of the team’s players seemed to be taking its toll psychologically. Spurs’ poor form was not capitalised upon by their rivals and Mauricio Pochettino and his men remained in the top five throughout. The injuries to Harry Kane and Toby Alderweireld certainly didn’t help matters but things have bounced back. Kane and Dele Alli have recaptured their form of last season and have guided Spurs to six wins and one two-goal comeback against Manchester City in seven matches. Last weekend’s late victory over Wycombe in the FA Cup spared a few blushes and with just one fixture against the top six in the next ten matches, Spurs could go on a run. And whilst the football betting odds rarely lie – 8/1 Tottenham currently sit at to win this year’s title – Poch’s men will know a solid run of games between now and the end of the season will still leave them within touching distance of current EPL leaders Chelsea. Many fans are thinking that this would be the perfect time to recruit a few players but with just a day left in the January transfer window, Spurs have been quiet. The only piece of business completed in this window is the £4,500,000 sale of Tom Carroll to Swansea City and time is ticking. So why isn’t Pochettino looking to bring anyone new in? Well, because he doesn’t need to. Spurs have, perhaps, the strongest squad they have ever had in the Premier League. They’re keeping clean sheets, scoring goals and right now, they don’t show any signs of stopping. Goalkeeper is a strong position, as are both full-back roles with two quality players in each position. With a wealth of options in midfield, attack and out wide, the only possible problem area is the centre of defence. While the defensive pairing of Jan Vertonghen and Toby Alderweireld one of the strongest in the Premier League, the defence and team suffers without either one of them. Spurs won just two of the 11 matches Alderweireld missed with injury and will eventually need to recruit backup for what has been a problem position for the club in recent seasons. The goals are flying in for Spurs right now and Kane & Alli are at the centre of it all. The pair has 18 in the Premier League between them since the middle of November and the club is feeling the benefit. Son Hueng-Min is chipping in with regular goals and after his strike at the weekend, Vincent Janssen might even start finding the net. Things are rosy for Spurs right now and any new signings would risk changing that.